I love to read about time travel. It can be a little confusing and mind-boggling, but, for me, that is part of the fun. Today's Reading on a Theme is all about time travel. All of today's books were published between January and April of this year. I love how all of these books look together. Apparently blue is the color for time travel novels this year. Harry August is one of a small group of people who live and die and then are reborn into their same life with all the memories of their previous lives intact. When Harry learns that someone is changing the future he sets out to stop him. Imagine pursuing a villain for centuries and the great depths of subterfuge and planning that would play out over multiple lives. The relationship between Harry and his nemesis is beautifully complicated and at the heart of the novel. 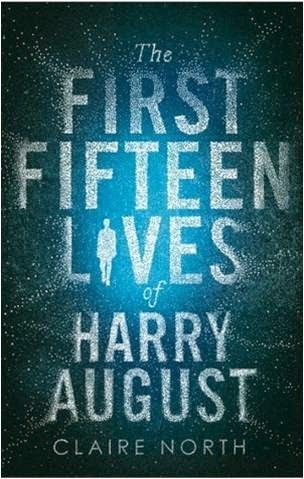 Like most time travel books The First Fifteen Lives of Harry August deals with changing the future, but it also considers the almost melancholy possibility of living forever. The First Fifteen Lives of Harry August is out April 8th, 2014. Review copy from NetGalley. Kate Pierce-Keller's grandparents are from the future, and Kate has inherited the time-travel gene. In order to stop her grandfather from changing the future with his creepy new religion, Kate begins training with her grandmother so that she can go back in time to right set things right. 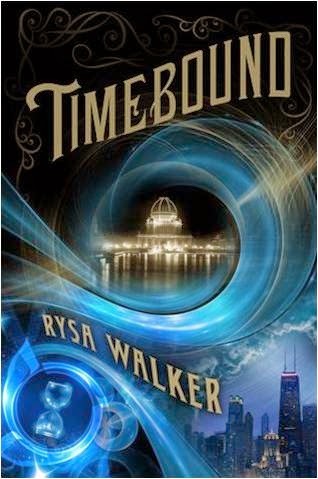 If you like time travel then there's a lot to like about Rysa Walker's novel. Timebound is full of mind-boggling pasts that shouldn't be and futures that suddenly never were. Kate meets people who know her but that she's never met. Her best friends and even family members suddenly no longer know her. The future of the world, her grandmother, and her very existence depend on a trip back in time to the World's Columbian Exposition of 1893. Timebound was published January 1st, 2014. 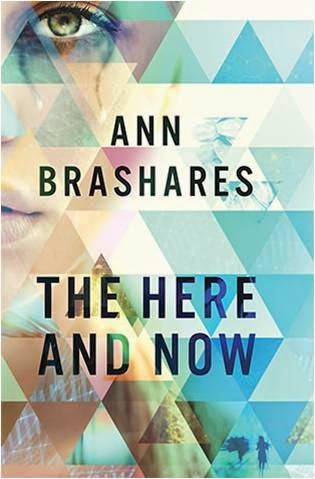 Ann Brashares's new novel, The Here and Now, strikes me as a cross-genre kind of tale. It's a time travel story about a group that colonizes the past to escape a plague of the future. The book also has a strong dystopia feel, as the main character, Prenna, fights against the strict and oppressive rules enforced up the leaders of the travelers. As in a thriller, Prenna and Ethan race to stop a murder. And, finally, there's the love story between Prenna, the traveler, and Ethan, the time native. I think this novel suffers a bit from trying to do too much and the result is that nothing feels fully developed. I was a little disappointed on all fronts. The Here and Now is out April 8th, 2014. Review copy from NetGalley. Global cooling has covered the Caribbean island of St. Michael in snow and many fear the cooling temperatures will force the Wayters, water dragons, ashore. 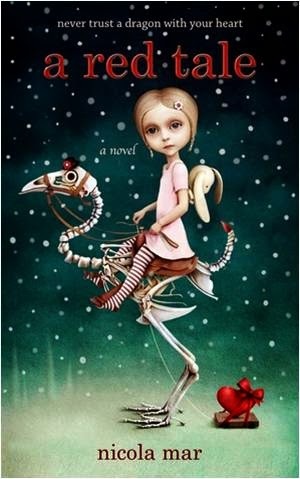 Stasia Forrester sees footprints in the snow and has dreams and visions of another land. Then Stasia meets Billy, a Wayter, who takes her to Surritz, the land below the sea and tells her that she can restore both worlds. To learn how Stasia visits the Tree of Waking Dreams and travels back in time. A Red Tale is a dragon book, a time travel book, a reincarnation book, an apocalyptic book. Nicola Mar's book has many intriguing elements, but it's not quite there. The writing feels a little stilted. The characters and setting seem to exist just beyond a veil that the reader can't quite part. A Red Tale is out March 20th, 2014. Review copy from NetGalley. Alex Wayfare has visions of the past. She will be sitting in class and then suddenly be transported to Jamestown or the World's Columbian Exposition. In the hopes that she will finally get some answers, Alex meets with Porter who explains that Alex has lived many lives, and she can slip back into her old lives. The 57 Lives of Alex Wayfare is really interesting. At points it is a little confusing, but I take confusing in stride when I'm reading books about time travel. M.G. Buehrlen's book combines afterlife, reincarnation, an evil genius, science experiments, time travel, and soul mates. I'm looking forward to the sequel. 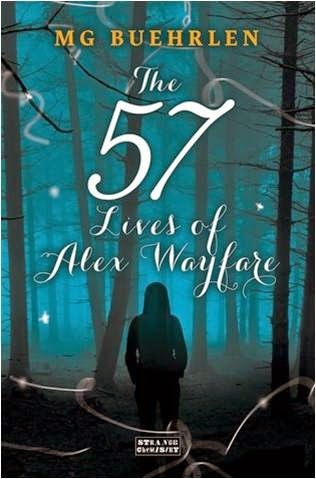 The 57 Lives of Alex Wayfare was published March 4th, 2014. A subtle study of friendship, love and the complexity of existence.